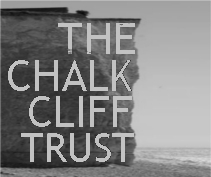 The thrilling and funny script for you to keep as a memento of the 2016 touring play by Pete Talbot of Macbyrd, or A Mischief of Magpies. ONLY £5! 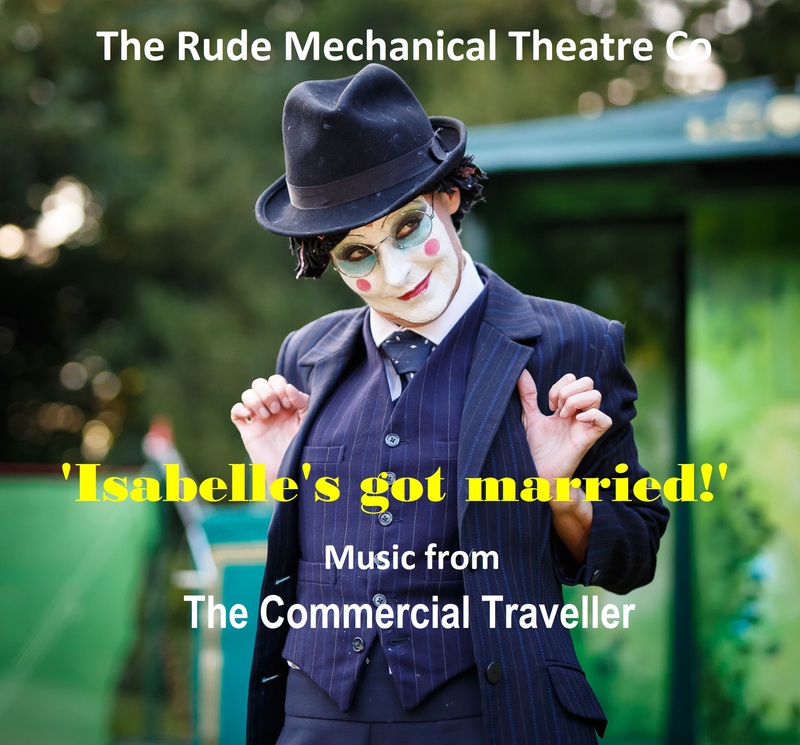 Enjoy again the music from 'The Commercial Traveller' by buying 'Isabelle's got Married', featuring 'Death is a Tango' and all the other songs. ONLY £3! 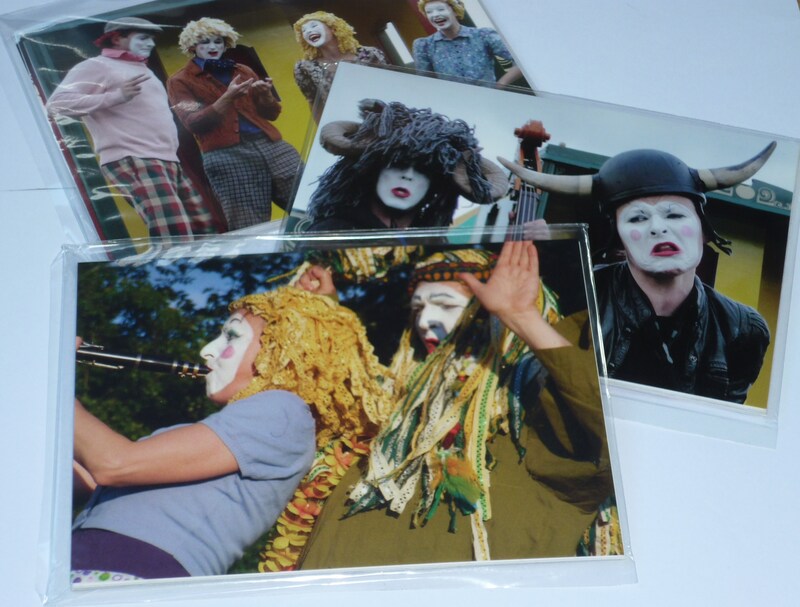 A useful pack of assorted Rudes postcards which you can send to your friends. VIRTUALLY A GIVEAWAY AT £2! 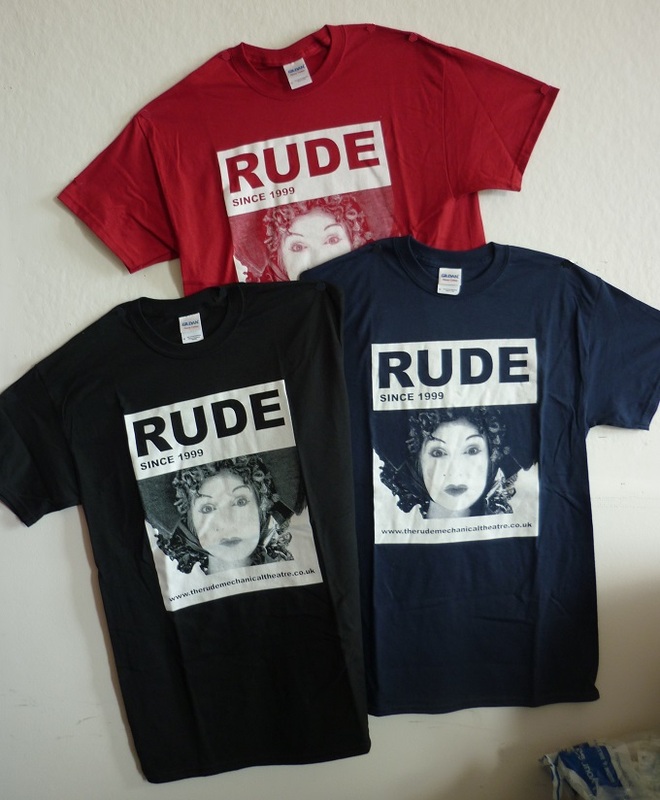 Lovely 'Rude since 1999' t-shirt with female Rosie face. £10 ONLY! 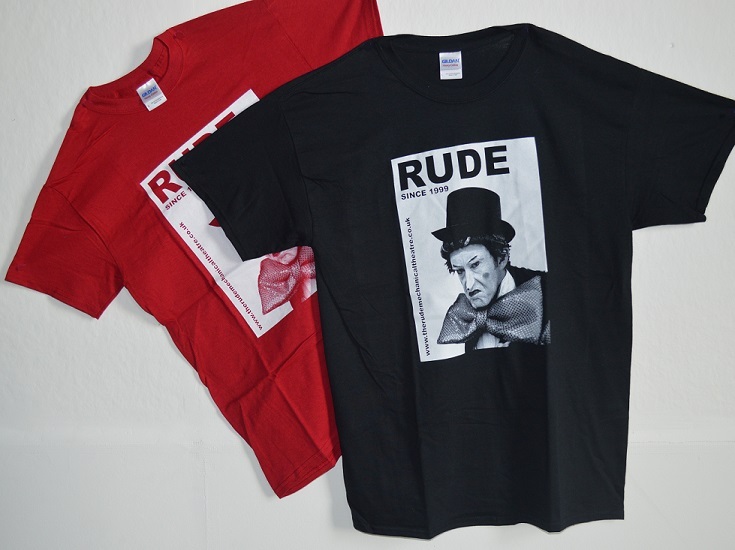 Your favourite 'Rude since 1999' t-shirt with male 'grumpy' face. £10 ONLY! 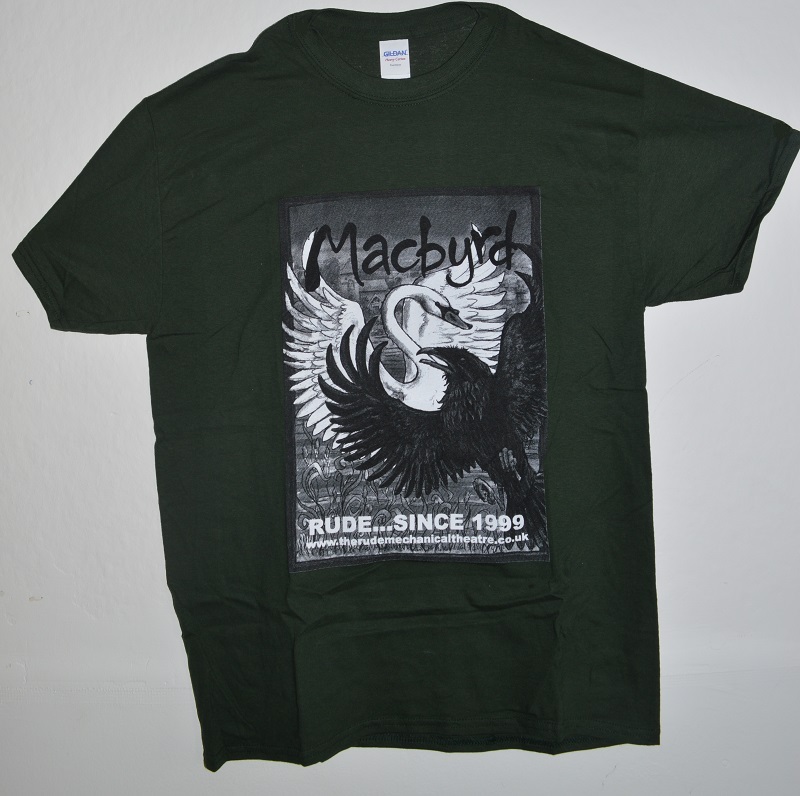 A few remaining Macbyrd t-shirts to remind you of the very popular production. ONLY £5! SPECIAL DEAL! 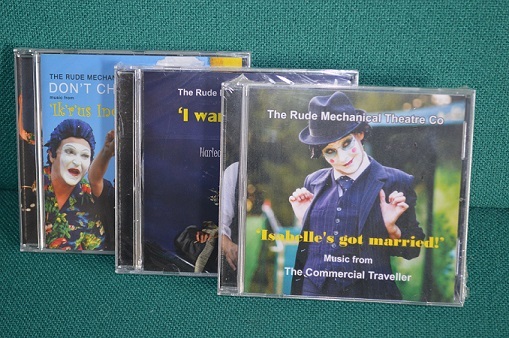 We are selling off our CD's in packs of three different albums - 'Don't Chase Crows!' from Ik'r'us Inc, 'I want! I want!' from Harlequin Goes to the Moon, and 'Isabelle's Got Married!' from The Commercial Traveller. The best music from all our shows in our opinion. A perfect Christmas present. ONLY £5! 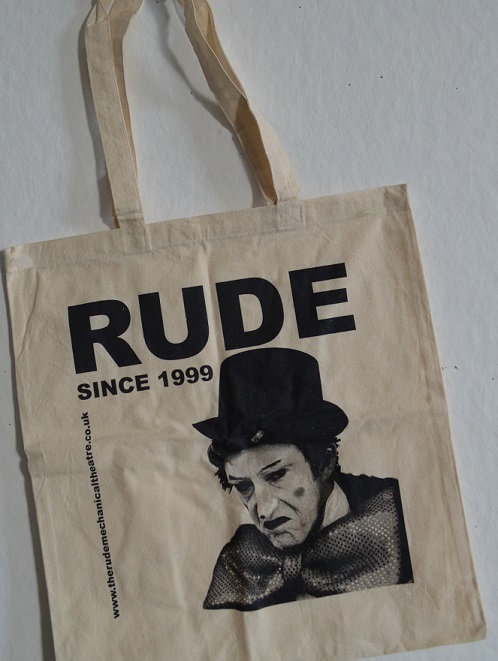 Useful cotton tote bags with the Classic Grant 'grumpy face' design. 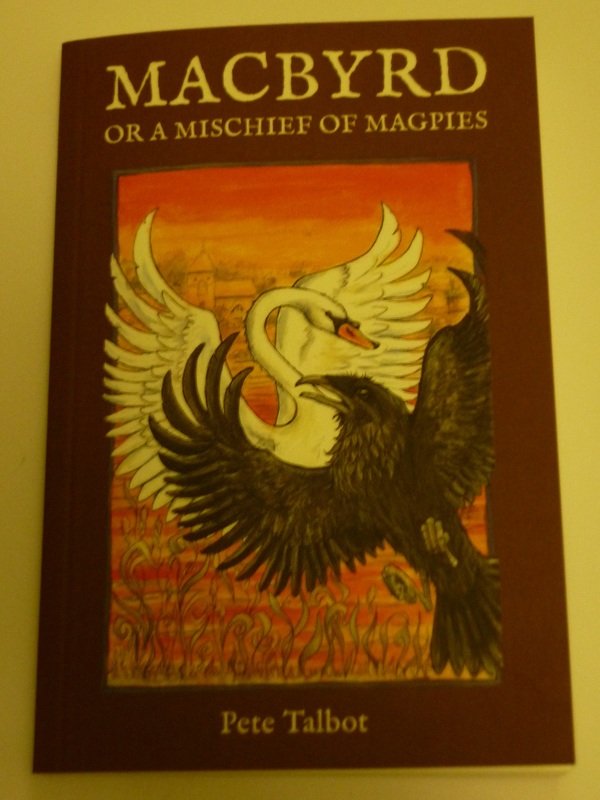 A mere £3 ONLY!